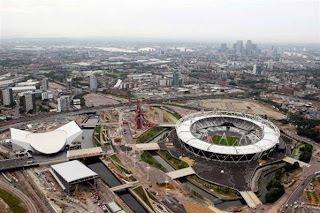 July 27 marks the start of the final countdown for London's staging of the 2012 Olympic Games. One year from now, 14,700 competitors from 205 nations across the globe will take part in the opening ceremony. An estimated one billion people tuned in to watch Beijing's glittering extravaganza in 2008, and this time the eyes of the world will be on the British capital. Despite fears that the venues would not be ready on time, that the city's creaking infrastructure would not be capable of dealing with such an influx of visitors, it appears that London is on track to deliver. The International Olympic Committee has already given an interim thumbs up, with most venues at an advanced stage of completion. But it has been a bumpy path since 2005, when it became the first city to be awarded the world's biggest sporting extravaganza three times in the modern era, previously having the honor in 1908 and 1948.